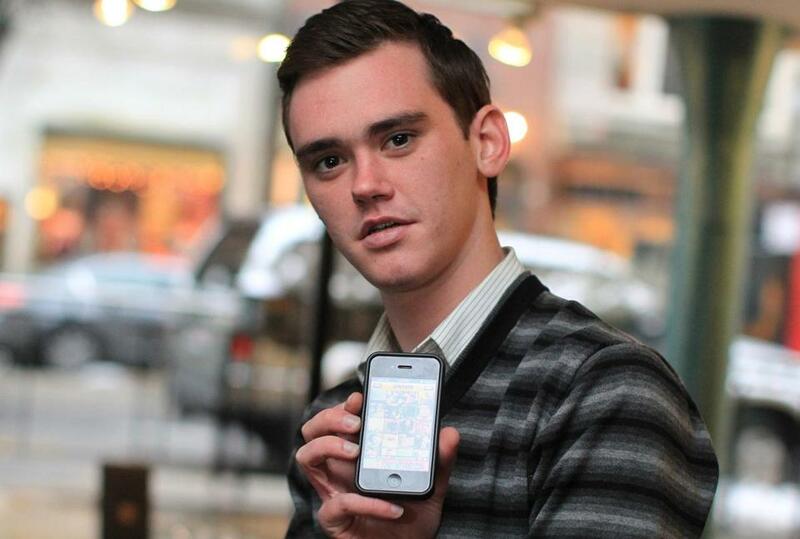 Zack Dillahunty, here in a Newbury Street meeting spot, uses an iPhone app called Grindr to instantly find potential dates in his area. Melissa Francis has no patience for waiting — for anything. When the 26-year-old Allston barista talks about slow Internet connections, she can barely hide her disdain. Waiting a couple of extra seconds for a page to load feels like an eternity. “I’m not proud of it, but I yell at my computer when it’s slow,” Francis said. The demand for instant results is seeping into every corner of our lives, and not just virtually. Retailers are jumping into same-day delivery services. Smartphone apps eliminate the wait for a cab, a date, or a table at a hot restaurant. Movies and TV shows begin streaming in seconds. But experts caution that instant gratification comes at a price: It’s making us less patient. It’s not just Gen Y, of course. Anyone who’s growled in frustration while a website loads or while on hold with a doctor’s office knows tolerance for delay is in short supply. But impatience may be most pronounced among the young, wired nearly from birth. “Most of my generation has grown up not having to wait for anything,” said Zack Dillahunty, 23, who finds dates using the Grindr app on his iPhone. Retailers, smelling profit in impatience, recently began a battle for same-day delivery supremacy, with Walmart and eBay challenging Amazon in the category. In Boston, one city where Amazon same-day delivery is available, shoppers can place an order by 11 a.m. and, for an $8.99 fee plus 99 cents per item, have it that day. Walmart launched Walmart-To-Go last year, charging $10 for same-day delivery, though it’s not yet available here. 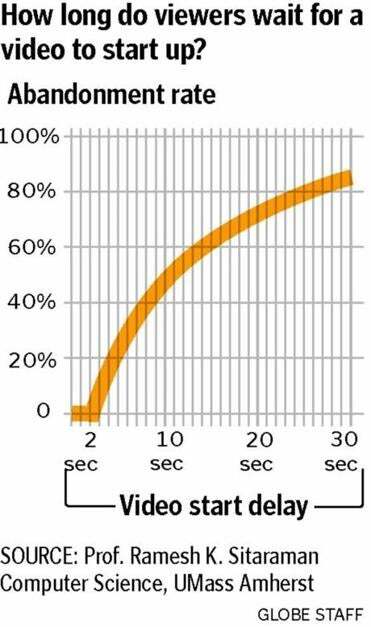 We’ve come to expect things so quickly that researchers found people can’t wait more than a few seconds for a video to load. Ramesh Sitaraman, a computer science professor at UMass Amherst, examined the viewing habits of 6.7 million internet users in a study released last fall. How long were subjects willing to be patient? Two seconds. The results offer a glimpse into the future, he says. As Internet speeds increase, people will be even less willing to wait for that cute puppy video. Sitaraman, who spent years developing the study, worries someday people will be too impatient to conduct studies on patience. “The need for instant gratification is not new, but our expectation of ‘instant’ has become faster, and as a result, our patience is thinner,” said Narayan Janakiraman, an assistant marketing professor at the University of Texas, Arlington. Janakiraman conducted a 2011 study called “The Psychology of Decisions to Abandon Waits for Service.” Subjects were made to wait for downloads and kept on hold as they waited for help from a call center. As predicted, many test subjects who were forced to wait abandoned the process. Nor will he wait for movies. Others seem to feel the same. Netflix has 33 million members who stream videos, compared with only 8 million who get DVDs by mail. Meanwhile, Cambridge start-up the Happy Cloud is building its business by helping zealous video gamers download games in minutes rather than hours. Darrell Worthy, an assistant professor of psychology at Texas A&M University who studies decision making and motivation, has found evidence of what some already feared: We’re becoming more focused on quick fun — such as a game of Angry Birds on the iPhone — than on reading books or magazines. A prime example? Saving money. The US Department of Commerce Bureau of Economic Analysis found that Americans’ personal saving rates — the percentage of disposable income saved — averaged 3.6 percent in December 2012. In December 1982, Americans saved 9.7 percent. There are a variety of reasons, from high unemployment to stagnant wages, but our growing focus on immediacy may also play a role. “We’re not wired to think about the long-term anymore,” says Phil Fremont-Smith of ImpulseSave, a Cambridge company that encourages individuals to save through an app that tracks spending and sends congratulatory messages when members cut costs. In that way, a long-term goal earns immediate feedback.